pinup.punkrockelite.org: If Only Han Had Been Encased in Chocolate! 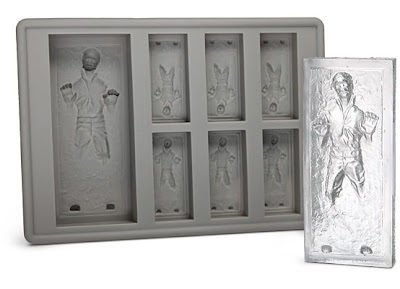 Despite the fact that I seldom bake and haven't made chocolates since I was about 10 years old, I am rather taken with this Han Solo in carbonite silicone tray. While I think it's most likely to be used for ice, who wouldn't want to nibble a Han chocolate or two?